Understanding the origins and history of any Buddhist practice is highly recommended to cultivate faith, devotion and stability in one’s practice. This is a true account of how Dorje Shugden manifested as a compassionate Lama, martyr and enlightened Buddhist Protector. Dorje Shugden arose from a lineage of highly attained masters who have been taking rebirth successively in order to proliferate the Buddhadharma and benefit sentient beings. Although he came into existence as a Dharma Protector over 350 years ago, traditional accounts trace the causes of his dramatic transformation to a time more than half a century ago. The story of Dorje Shugden begins during the time of the Vinaya-holder Duldzin Drakpa Gyaltsen (1374-1434). 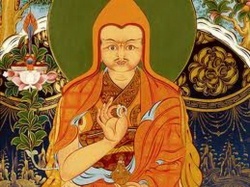 He was a great Lama and one of the eight main disciples of Manjunatha Je Tsongkhapa. So devoted was Duldzin Drakpa Gyaltsen to his Guru Lama Tsongkhapa that he is often quoted as an exemplary example of the perfect relationship between Guru and disciple. “Do not forget your promise!” Nechung uttered these last words before disappearing. Over 200 years later, Duldzin Drakpa Gyaltsen’s sacred promise came to fruition during the lifetime of the great Tulku Drakpa Gyaltsen (1619 – 1656). Tulku Drakpa Gyaltsen was the reincarnation of Duldzin Drakpa Gyaltsen and he was just as erudite and accomplished as his predecessor. Tulku Drakpa Gyaltsen was a contemporary of the Great Fifth Dalai Lama Ngawang Lobsang Gyatso (1617–1682). 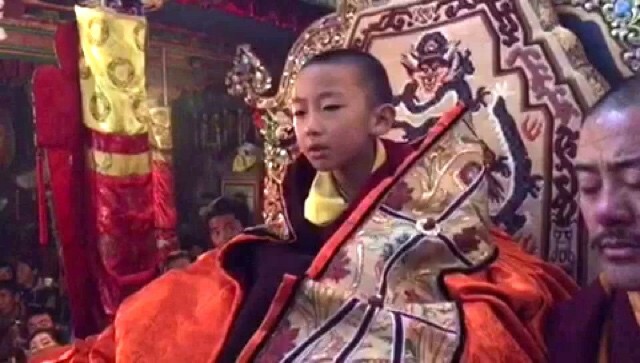 As a young boy, he showed special signs of being a reincarnated high Lama and was one of the shortlisted candidates during the search for the reincarnation of the 4th Dalai Lama. Both incarnations were duly confirmed and recognised, and subsequently became students of the Panchen Lama Lobsang Chokyi Gyaltsen (1570 – 1662). They lived in Drepung Monastery, one of the three largest monastic institutions in Tibet. The residence of the 5th Dalai Lama was named “Zimkhang Ogma” (lower house) while the abode of Tulku Drakpa Gyaltsen was named “Zimkhang Gongma” (upper house). Tulku Drakpa Gyaltsen replied that he could not remember making any promise and so the Oracle gestured for some rice. Scooping up a handful of rice, he blew onto it and asked the Lama to eat it. Tulku Drakpa Gyaltsen took the rice and swallowed it. The memory of his previous life’s promise came back to him! Do not worry. I will create the causes for ‘anger’ to arise. At the time, both Tulku Drakpa Gyaltsen and the 5th Dalai Lama enjoyed a very good personal relationship. However, rivalries were rampant between the followers of the two Lamas. Everything from the height of their thrones to the position of their Ladrangs (household and office) became a bone of contention between the students of both Lamas. The fact that both Tulku Drakpa Gyaltsen’s throne and residence were higher than the 5th Dalai Lama’s did not help. To make things worse, being the older Lama, Tulku Drakpa Gyaltsen received more patronage. It appeared as though his fame eclipsed that of the 5th Dalai Lama although in reality, Nechung was emanating as pilgrims and petitioners to add to the numbers swarming Tulku Drakpa Gyaltsen’s residence. Clearly, Nechung had kept his promise and fanned the differences to a feverish pitch. Finally, Desi Sonam Chopel and other attendants of the 5th Dalai Lama hatched a plan to assassinate the rival Lama. Meanwhile, through his clairvoyance, Tulku Drakpa Gyaltsen knew his time was near and began making the necessary preparations. Feigning illness, he informed his closest attendants that he was not to be disturbed and entered into retreat. Those seeking audience with the great Lama were informed that he was ill. When the 5th Dalai Lama himself wanted to visit, his own attendants prevented him from doing so, saying that it was an infectious disease. They offered to represent him instead. Unbeknownst to everyone, it was all going according to Nechung’s plan. At the appointed day and time, the attendants of the 5th Dalai Lama including one Depa Norbu, the brother of Desi Sonam Chopel, entered the audience room of Tulku Drakpa Gyaltsen bearing offerings and khatas (ritual scarf) for the Lama. At first, Depa Norbu offered Tulku Drakpa Gyaltsen food laced with poison, which had no effect as the highly attained Lama did not have the karma to be poisoned. 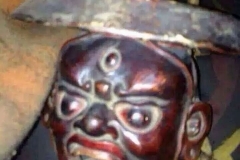 Next Depa Norbu tried to stab Tulku Drakpa Gyaltsen but to his dismay, the stab wounds took on the appearance of menacing eyes and the Lama was unharmed. Finally, Tulku Drakpa Gyaltsen revealed that he could only be killed through strangulation. Immediately, the 5th Dalai Lama’s attendants held the Lama down while Depa Norbu strangled him with a khata. As he suffocated, Tulku Drakpa Gyaltsen generated the mind of Enlightenment. He offered his life up to Lama Tsongkhapa, to the lineage and to all who would become practitioners of Lama Tsongkhapa’s stainless teachings. Happily, he accepted the responsibility to assist, protect, nurture and clear obstacles for the lineage and its followers. Thus, he generated that aspiration and entered clear light. After Tulku Drakpa Gyaltsen passed away, the monastery and his ladrang were in turmoil because such an important High Lama had been murdered. Tulku Drakpa Gyaltsen’s attendants were grieving yet angry at the same time; they had discovered the plot to harm their precious teacher. The funerary rites were held in Central Lhasa. Tulku Drakpa Gyaltsen’s remains were placed on a large cremation pyre. 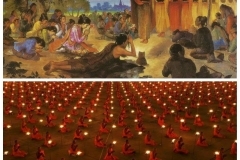 Thousands of disciples, the Mongol royalty and all the High Lamas were in attendance. 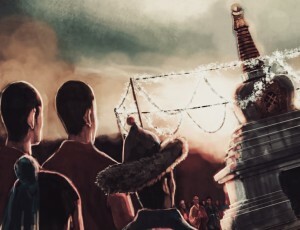 They had come to pay their last respects to the great Tulku Drakpa Gyaltsen. However, they soon discovered that they could not light the funeral pyre. No matter how many times they tried, it just would not light. Some kind of Lama you are! You were supposed to be a High Lama and you don’t even exact revenge on them and you don’t show any signs… They just simply kill you and that’s it?! The 5th Dalai Lama too was very disturbed by the whole matter. It had come to his attention that his own attendants were responsible for the murder. Shocked and distraught, the 5th Dalai Lama composed a poem of apology to the late Tulku Drakpa Gyaltsen. One of his attendants brought the poem down and it was read aloud to the assembly gathered around the funeral pyre. The moment the poem was read, the wood on the pyre suddenly burst into flames. Strong tumultuous winds blew and an earthquake shook the city. From the fire, a tornado appeared – a powerful swirling black wind. This was a sign that Tulku Drakpa Gyaltsen had transformed into a Dharma Protector – the wrathful form of Dorje Shugden. The mind of Tulku Drakpa Gyaltsen left his body in a thick gust of black smoke which formed the rough outline of a hand covering the skyline of Lhasa. As the smoke dispersed into the sky, many negative omens befell the city. Crops failed, many animals died and monasteries lost great sponsors and patrons. 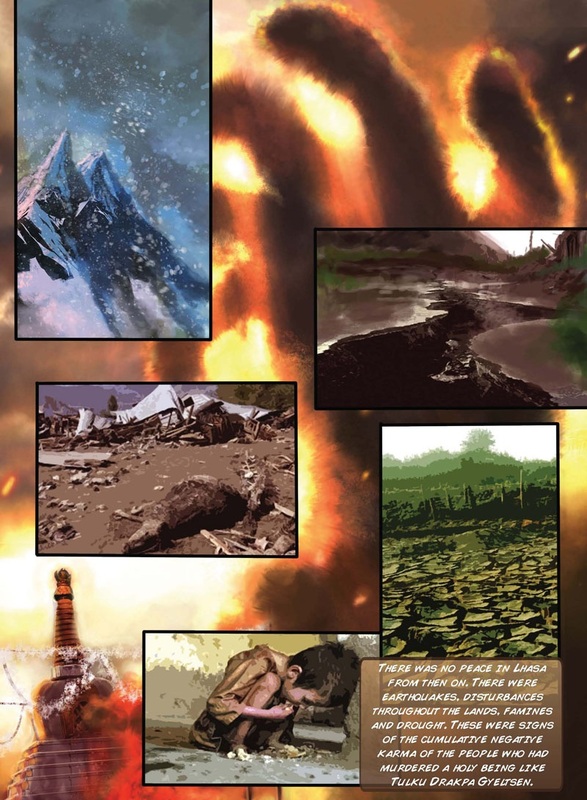 Great calamities such as earthquakes and disease epidemics enveloped the land. The negative karma of killing such a highly attained Lama was very heavy and had caused these negative events. Many people thought that Tulku Drakpa Gyaltsen had become a raging evil spirit and the 5th Dalai Lama invited very powerful Lamas such as Mindrolling Rinpoche to perform pujas to subdue the spirit that was believed to be causing these calamities. 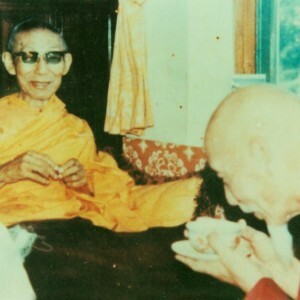 Mindrolling Rinpoche was a very high Nyingma Lama. His incarnation lineage extends to this day and they are known to be accomplished Tantrikas. In reality, the 5th Dalai Lama clairvoyantly knew that Dorje Shugden was not an evil spirit but did what he did on special intuition. 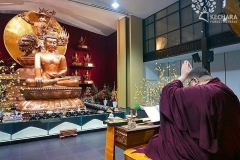 He felt that doing so would reveal Dorje Shugden’s special qualities. 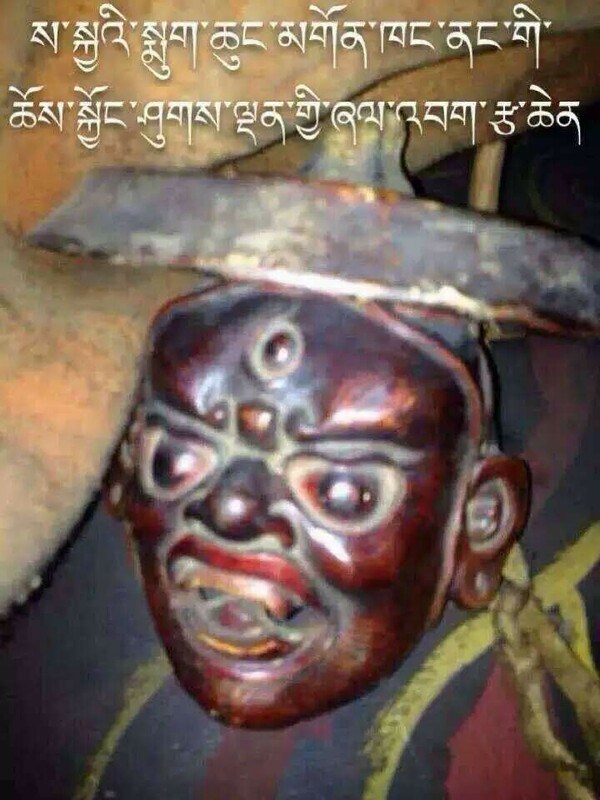 If Dorje Shugden was not an evil spirit, he would not be killed. 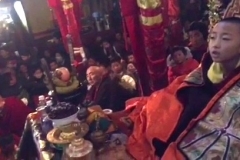 So Mindrolling Lama performed a powerful fire puja (sbyin sreg) to kill Dorje Shugden. 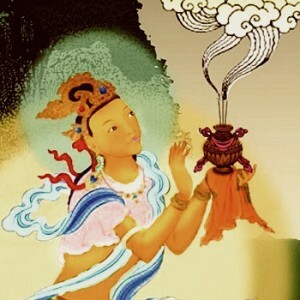 His attendants arranged grand offerings to be ritually offered into the fire and they had the highest Nyingma lama who attained siddhi (spiritually accomplished) holding the ladle. At this point in the ritual, the Lama compelled Dorje Shugden onto the ladle by the power of mantra. Then, he threw Dorje Shugden into the fire. This powerful ritual ‘kills’ evil spirits and sends their consciousnesses to take rebirth in a Pure Land. 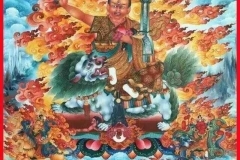 However, every time Mindrolling Lama threw Dorje Shugden into the fire, he would have a vision of Yamantaka arising unharmed from the flames, standing on the ladle. After a few attempts, he ceased the puja realising that he was not dealing with an ordinary spirit but an enlightened being who was one with Yamantaka. 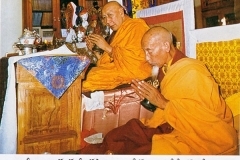 Mindrolling Rinpoche reported this turn of events to the 5th Dalai Lama, who was very pleased. He had known all along that Dorje Shugden was none other than an enlightened Dharma Protector. In a separate fire puja, the Dharma Protector Setrap swiftly arose from Sangpu Monastery, riding his horse like the wind. He was a vision of red, galloping along with his five wisdom flags fluttering. 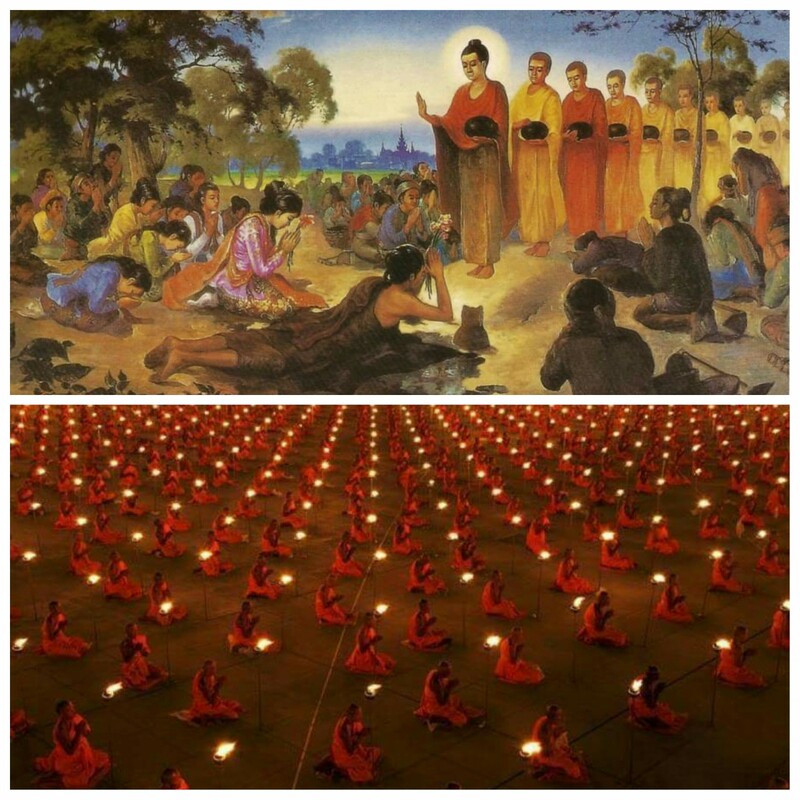 Setrap created visions to stop the monks from successfully completing the puja. 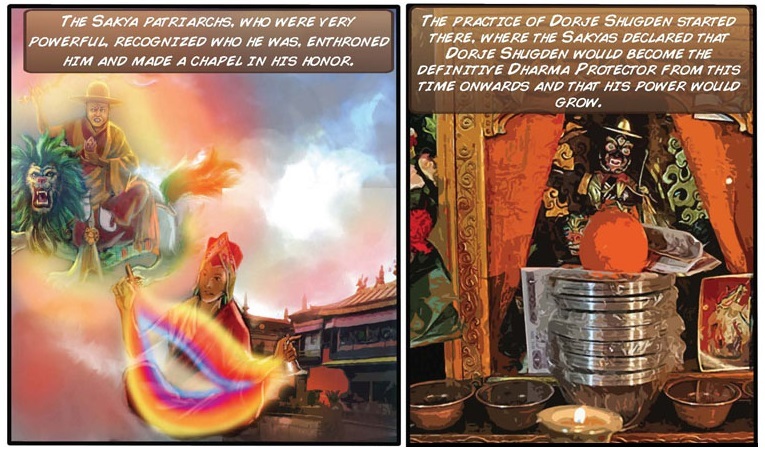 Then, Setrap ‘introduced’ Dorje Shugden to the other Dharma Protectors and requested that he be enthroned as a Dharma Protector in his own right. The 5th Dalai Lama composed a praise to Dorje Shugden, recognising his awakened nature and qualities. With this, the calamities befalling Lhasa abruptly ceased and peace reigned in the land once more. Dorje Shugden then travelled first to Tashi Lhunpo Monastery in memory of his Guru, Panchen Lama Lobsang Chokyi Gyaltsen, who resided there. However at the entrance, the Dharma Protectors of the monastery refused to allow him to pass through – an inauspicious occurrence. 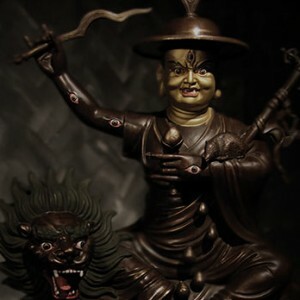 Dorje Shugden went on to Sakya (Mug Chung) instead, a connection from his previous life as Sakya Pandita Kunga Gyaltsen. It was in Sakya that their patriarch, Dagchen Sonam Rinchen first enthroned Dorje Shugden as a Dharma Protector of the Sakya lineage. 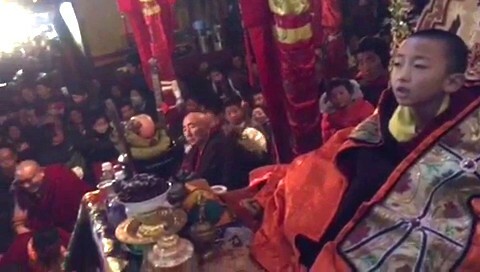 Later, the 8th Dalai Lama, the regent of Tibet and the Qing Emperor Daoguang recognised and enthroned Dorje Shugden in an elaborate ceremony as the Dharma Protector of the Gaden lineage, thus fulfilling the original promise that Duldzin Drakpa Gyaltsen made to Nechung to protect the unmistaken teachings of Lama Tsongkhapa. The story of the above can be found in ‘Music Delighting the Ocean of Protectors’ written by His Holiness the 14th Dalai Lama’s Junior Tutor or root Guru , Kyabje Trijang Dorje Chang . He also considered an emanation of Vajrayogini. ‘Music Delighting the Ocean of Protectors’ is the most definitive and complete document on DORJE SHUGDEN, his nature, function and history. This is one of the documents prove that Dorje Shugden is enlightenment protector. And Kyabje Trijang Dorje Chang current incarnation, Kyabje Trijang Chocktrul Rinpoche was born in 1982 and was officially recognised by His Holiness the 14th Dalai Lama on 23 April 1985. So. why are people still label Dorje Shugden is an evil? Is Dorje Shugden is an evil, there is no incarnation for Trijang Rinpoche because he broke the refuge vows. It is important to note that we can’t kill or subdue an enlightened being. 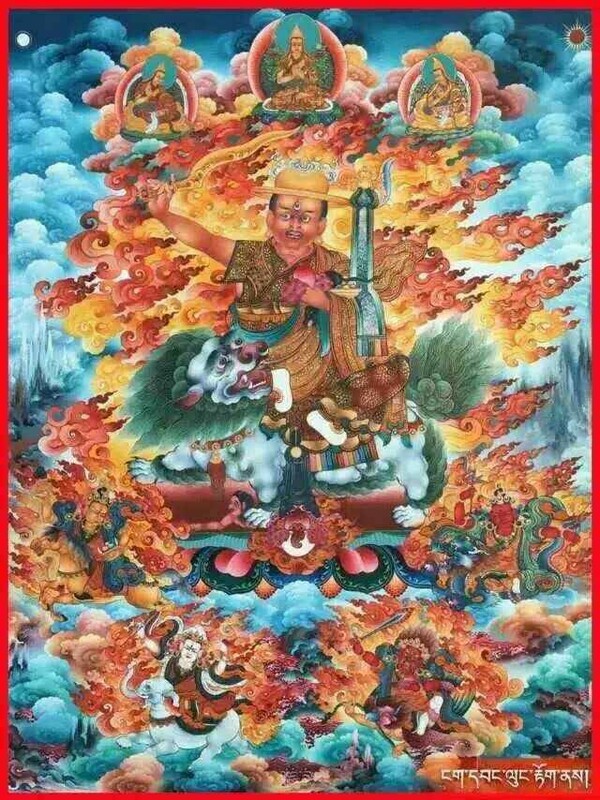 Dorje Shugden has proven that he’s enlightened when Mindroling Lama failed to kill him with powerful fire puja. Even during this fire puja, Yamantaka the wrathful form of Manjushri arose unharmed which shows Dorje Shugden was also one with Manjushri. From this post it show clearly how Dorje Shugden came from and he is not other than the enlightened Dharma protector that kept his samaya to protect the doctrine of Lama Tsongkhapa. To understand any practices, we should learn about their origins. Duldzin Drakpa Gyaltsen never hesitated and immediately replied and gave his promise to do so for the sake of his Lama when asked by Nechung to become a Protector. 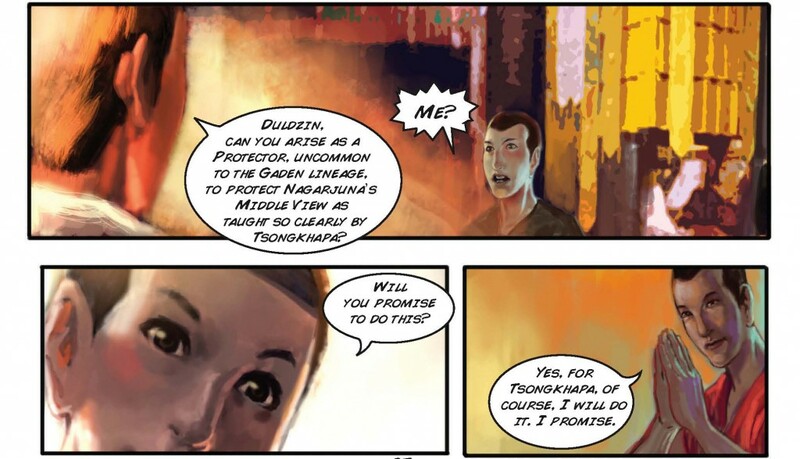 When Nechung reminded Tulku Drakpa Gyaltsen of his promise, he again never hesitated to fulfill a promise even though made in previous lifetimes. It take a person of great devotion and compassion to “allow” his own murder for the sake of dharma. Even after arising as Dorje Shugden, he travelled first to Tashi Lhunpo Monastery in memory of his Guru. For me what stood out in the story of the origins of Dorje Shugden is Guru devotion. This is a very good overview of Dorje Shugden’s origin. I like this post because it is short and easy for people like us to understand and also not too long to explain to new people. I especially like the part where it is explained how Dorje Shugden was mistaken as a spirit and the clarification that He is not, as He cant be killed for He is not a spirit but an Enlightened being. May Dorje Shugden continue to guide us and clear our obstacles for our spiritual path. Having read and heard first-hand account from H.E. Tsem Rinpoche of the origin of Dorje Shugden, and now reading this again, stirs good memory. And now I am reading this, discussing and commenting together with some Kecharians in Kechara Forest Retreat further strengthens my memory of how Lord Dorje Shugden arose, to protect the teachings and lineage of Lama Tsongkhapa and benefitting more people of today and the future. I wonder why the Dharma Protector of Tashi Lhunpo Monastery refused to let Dorje Shugden to go into Tashi Lhunpo Monastery? 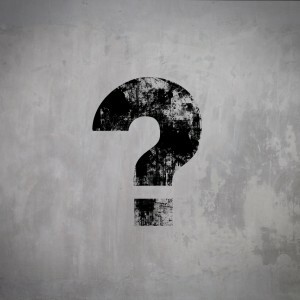 It’s due to the the time, place and who? If available, I would like to know more about the story. The arises of the protector Dorje Shugden is not just a fascinating story to read, but a history that across many generations which show how compassionate an enlighten Dharma Protector manifested just to protect the teachings of Lama Tsongkhapa. The power of Guru Devotion not only lead to enlightenment, it’s a manifestation to benefit others in all levels. This shows how skillful the 5th Dalai Lama is, creating the beginning of the path for this unusual Dharma Protector. Personally, reading the origins of Dorje Shugden made me feel grateful that I am so fortunate to meet him, someone who overcome so many difficulties in order to help us in our spiritual journey. Story is so enchanting but mindroling version of the story says that mindroling lama subdued the shugden. The 5th Dalai Lama or often referred as The Great Fifth, is a famous historical figure who unified all Tibet and established diplomatic relationship with China. Even a highly attained lama like the Great Fifth had write a praise to Dorje Shugden it is a solid evident of the nature of Dorje Shugden. See this link for the Praise to Dorje Shugden by the Great Fifth. It is through composition and guru devotion that Duldzin Drakpa Gyaltsen accepted the request by Nechung to become a Dharma protector to specially protect Lama Tsongkhapa, which is his guru’s teachings. Hence when he was Tulku Drakpa Gyaltsen he fulfilled his promise and carry out his duty to protect the lineage. Things did not turned out smoothly at the beginning, due to the manifestation of the negative karma that people have. We are very fortunate to receive the practice from our guru H.E. the 25th Tsem Rinpoche who is still preserving this pure lineage practice. Without the determination and wisdom of Rinpoche, we wont’ have the fortunate to receive Dorje Shugden practice. 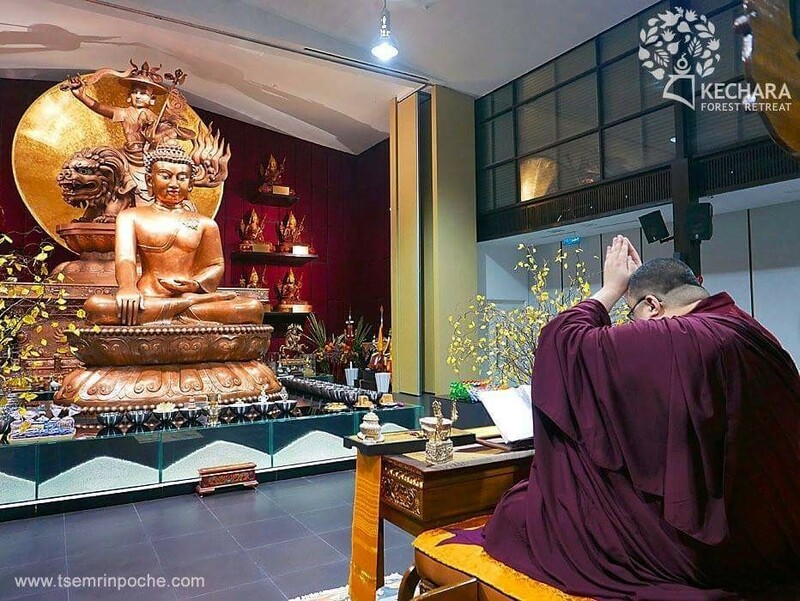 Dorje Shugden practice is a pure protector practice that help us in our spiritual journey, providing us a conducive condition for us to do and practice Dharma. Is important to understand the origin of Dorje Shugden simply because we can gain more faith though his practice. Lord Duldzin Drakpa Gyaltsen make such vow become dharma protector to protect Lama Tsongkhapa lineage . Hence when we do Dorje Shugden practice, we need the know what kind of protector he is and his lineage line. 350 years has pass, from the origin of Dorje Shugden protector, his practice will be well know more at the future, by realizing lord Dulzin motivation and compassion with his blessing from all the protector incarnation lineage. Dorje Shugden will show himself as the enlighten protector leading many being free from suffering. This is the account of how Dorje Shugden arose as a powerful Dharma Protector. The lineage of Dorje Shugden goes back to Manjushri himself! 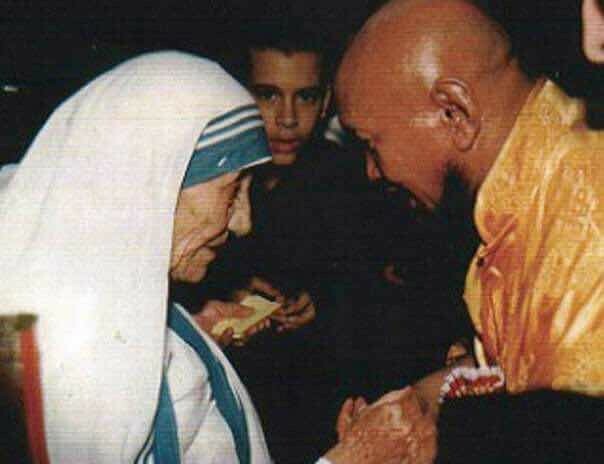 It is important to know the lineage and inspiring to learn about the life stories of his holy reincarnations. 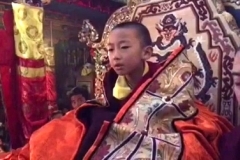 Duldzin a close student of Lama Tsongkhapa, made a promise to Nechung and he fulfills his promise to arise as a Dharma Protector and a World Peace Protector. We are very blessed that we can connect to protectors who help us to overcome obstacles and difficulties on the strenuous way towards becoming enlightened. 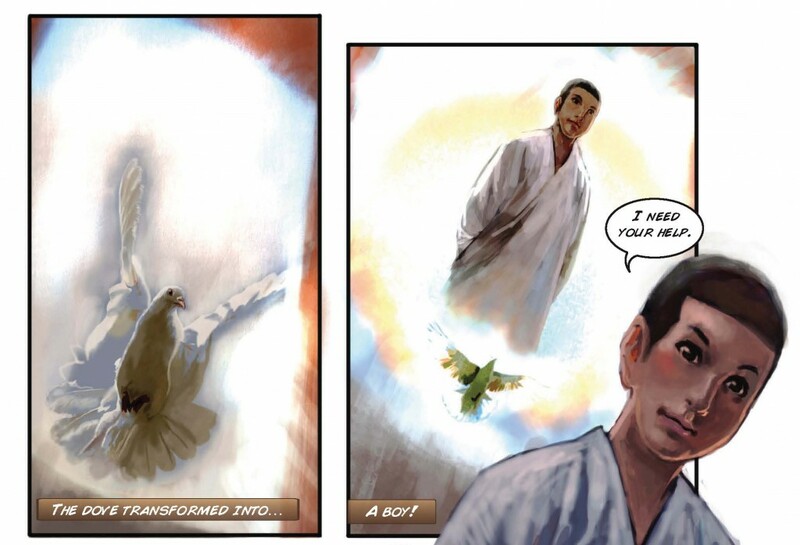 I rejoice for us to learn about this holy being and being able to connect through this webpage. 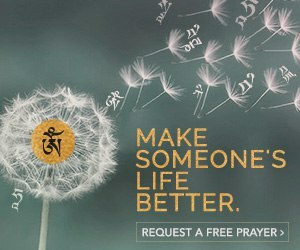 May Dorje Shugden bless all beings, seen and unseen. Wonderful article with picture illustration for us to understand easier, I like this website because the web owner is so caring and thoughtful, always present the best material in all article for us to read and learn. Dorje Shugden is extremely compassion, to the benefit of others, he willing to sacrifice himself and arise as a Protector to protect the sentient beings. Knowing Dorje Shugden’s origin is very important because when we know the Buddha well, it will increase our faith to the Buddha and make our practice more effective. 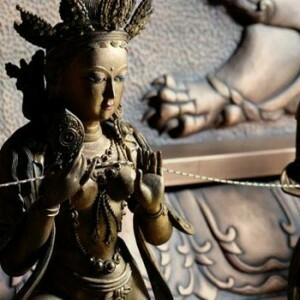 In this article, it clearly state that Dorje Shugden is not a spirit, he is a Buddha, because no matter how many high Lamas trying to subdue him, they did not success, so there’s only 2 conclusion – Either the high lamas has no effect or Dorje Shugden is not a spirit, and if Dorje Shugden is a Buddha, how can anyone subdue a Buddha? Thank you for the article, Its nice to know about the origin of Dorje Shugden as its give us a clearer view and understanding what is happening in order for us to practice and not blindly follow. Thank you for sharing the article Rinpoche. “O great Duldzin, can you be the Protector of the uncommon Gaden lineage, to protect Nagarjuna’s Middle Way view as elucidated by your Guru, Lama Tsongkhapa? Will you do this? For me, this paragraph of words really made me realise that the basis and main essence for Dorje Shugden to manifest in this aeon is solely because to protect Lama Tsongkhapa’s practice and Lord Duldzin’s guru devotion is clearly amplified here. This devition and faith was also very clearly exemplified in Dorje Shugden’s reincarnations before this. Thank you for sharing this article. This is the protector of our life time and everyone should feel very lucky and cherish it. Dorje Shugden is an enlightened dharma protector and not an evil as others claimed. If he is evil, then the fire puja would have subdued him. The great calamities was due to the negative karma for killing a highly attained lama. This also further proven when we trace back the source of its practise. From the history, we also learned about the strong Guru Devotion of Duldzin Drakpa Gyaltsen in accepting request by Nechung to protect Tsongkhapa’s teaching and the lineage. Therefore I hope the controversy on Shugden ban will be lifted very soon, so more people are able to practise Dorje Shugden freely and peacefully. This real account of how Dorje Shugden arises as a dharma Protector is important, it makes many including me to have faith in the practice, and have devotion in ther practice. From the story I learn that Duldzin Drakpa Gyaltsen or Tulku Drakpa Gyaltsen is very devoted to his guru. When asked by Nechung whether he would protect Nagarjuna’s Middle Way view as elucidated by his Guru, Lama Tsongkhapa; Duldzin Drakpa Gyaltsen without hesitation answered yes. And when Tulku Drakpa Gyaltsen was asked whether he would keep his promise to protect the teachings, his answer is still yes, even he needs to sacrifice his life. 1. He is an object worthy of refuge and reliance as he is an enlightened being. His enlightened mind can be clearly seen by his clairvoyance and great compassion demonstrated in how his last incarnation as Tulku Drakpa Gyeltsen allowed himself to be murdered in order to arise as a Protector. 2. 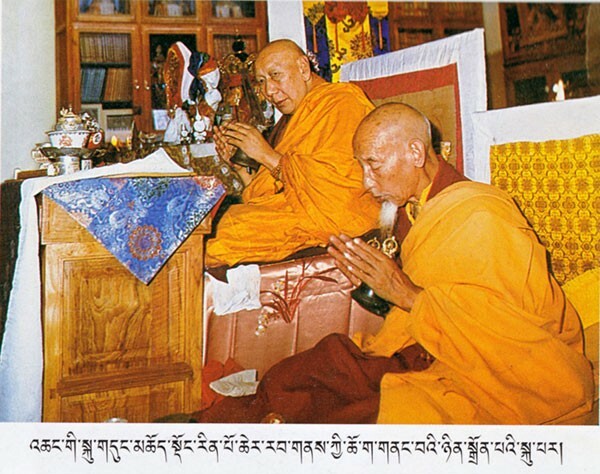 His impeccable Guru Devotion as seen from the time he was Duldzin Drakpa Gyaltsen, one of the eight main disciples of Je Tsongkhapa right to the time after he arose as Dorje Shugden and travelled first to Tashi Lhunpo Monastery in memory of his Guru, Panchen Lama Lobsang Chokyi Gyaltsen, who lived there. 3. His origins can be traced back all the way from the time when one of his incarnations, Duldzin Drakpa Gyaltsen, was still a student of the incomparable Lama Tsongkhapa, showing that he is not a fictitious protector and is very real. 4. 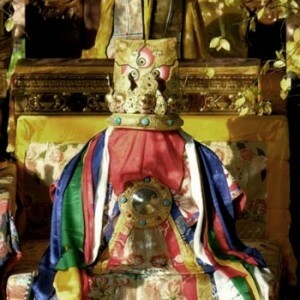 The fact that he was first enthroned by the Sakyas via Dagchen Sonam Rinchen and later, the 8th Dalai Lama, the regent of Tibet and the Qing Emperor Daoguang in an elaborate ceremony as the Dharma Protector of the Gaden lineage consolidates his position as a worthy Dharma protector that we can rely on. Thank you for this informative and beneficial write-up. It is important to know the origin of any Buddhist practice that we engaged in. It must be from authentic lineage and has a valid source. We must also learn about the origin of the deity that we propitiate to in order to strengthen our faith in the practice. Studying the origin of Dorje Shugden will let us be inspired by his Guru Devotion and what true compassion means. He promised to arise as a protector to guard Lama Tsongkhapa’s teaching and successfully honored this promise he took rebirth as Tulku Drakpa Gyeltsen. Dorje Shugden is the protector of our time and he is powerful in granting us with swift assistance to remove both inner & outer obstacles. It is our loss when we do not have faith or worst still, shun this practice because of wrong views. Thank you very much for this teaching. Thank you all so much for making this information available worldwide! It gives great substance to our practices. I’m still learning about the blessed Dorje Shugden and don’t know his mantra yet or if I need to have an empowerment to practice or attend his Puja some day. But what I do know is when I read about him and watch the videos from Kechara regarding Dorje Shugden…I cry. It feels like I am releasing pain and at the same time I feel more alive. Very hard to describe, I simply get an amazing deep feeling of love and peace when I focus on Dorje Shugden and pray to him. In deep reverence, thank you. I hope that you have progressed well in your worship of Protector Dorje Shugden. As we have more and more information within this website, please continue with your study and have your faith on firm foundation. May Dorje Shugden always be with you. OM BENZA WIKI BITANA SOHA. The origin and history of Dorje Shugden has shown us that at the beginning of the history of Dorje Shugden where he was Duldzin Drakpa Gyaltsen who was heart son to Lama Tsongkhapa. He promised without hesitated to be a protector to protect his Lama’s teaching because his devotion to his Lama. Over 200 years later before arose as a protector, he was Tulku Drakpa Gyaltsen. Out of compassion he scarifies his life to fulfill his promise to be a dharma protector. 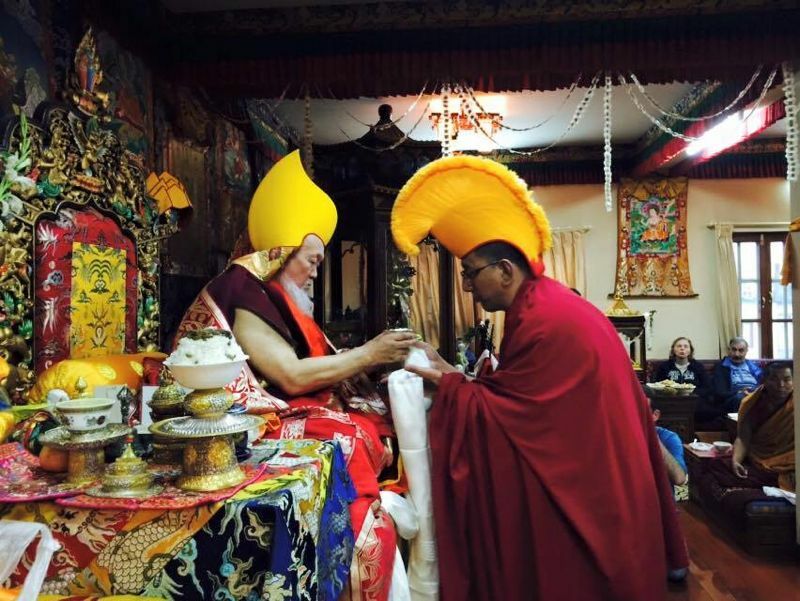 When he arose as Dorje Shugden, his strong Guru devotions leads him travelled to Tashi Lhunpo Monastery to his Guru, Panchen Lama Lobsang Chokyi Gyaltsen. 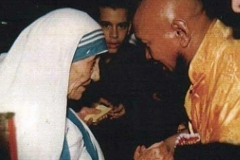 In Tibetan Buddhism, clean samaya between a disciple and Guru is crucial. Guru devotion is a must to gain higher spiritual realizations, attainments and ultimately to enlightenment. The protector Dorje Shugden was arose from a lineage of highly attained masters who have been taking rebirth life after life for the benefit of sentient beings. These are examples shown how strong the guru devotions are in Dorje Shugden lineage. Dorje Shugden is definitely an enlighten Dharma protector because Tulku Drakpa Gyeltsen is an enlighten Lama who work tirelessly for all sentient being hence as he arose as Dorje Shugden so no doubt about his attainment . As a pratitioner of Dorje Shugden we must read through his biographic understand where is he come from in order for us to develop faith and understanding . Thanks for the sharing. Indeed it was important to know the history background of Buddha that we worship. It clearly explained how Dorje Shugden was emanation from highly Lama, not a spirit. The lineage can trace back even half century ago. We are fortunate because of Dorje Shugden, until now we still able practice Lama Tsongkhapa teaching,the lineage still carry on.